I know, I know... another post about snow :) This afternoon the weather was beautiful, warm enough to make the snow wet and just right for making snowmen. So we made two. My silly kiddo says they are the "Bucket Hat Brothers". We had so much fun playing in the snow! Now those are rosey cheeks from snow play! Having had not more than a light frost all year I can't tell you how envious I am of all your snow! I would be out building snow men with the kids too if we had any. 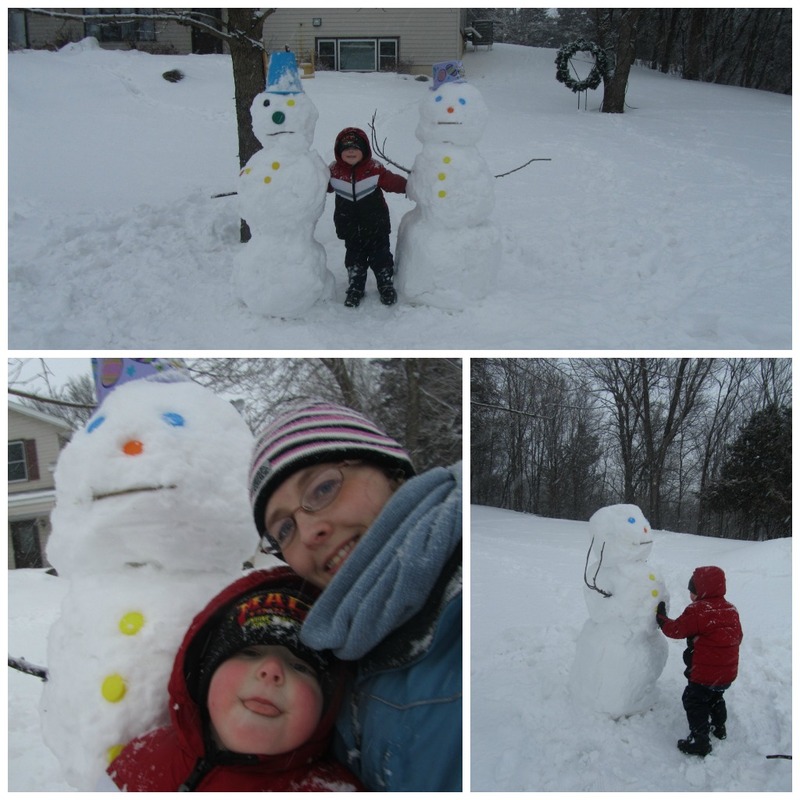 Your snow men brothers are like giants, definitely a good days snow work. Thank you for joining me on Country Kids.